Somewhere in the Satpura Tiger Reserve in Madhya Pradesh, I was sitting outside my tent and chatting with fellow campers about our travel experiences in India. We mutually agreed that Agra left us spellbound and went on to discuss our experience in this city at length. 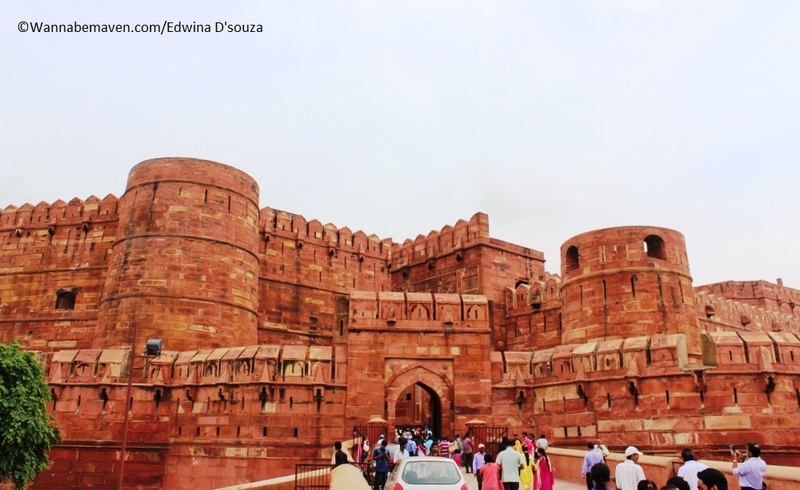 Agra, the capital of the Mughal Empire once upon a time, is every history buff’s delight. The Mughals gave us three UNESCO heritage monuments in Agra alone…apart from several other finely designed tombs, chhatris (canopies) and baugs (gardens). My visit to the Taj Mahal was long overdue. I remember when I visited France with my family in 2007, a family-friend casually asked if I had seen the Taj Mahal and I kept mum. I had travelled to see the Eiffel Tower but was yet to visit the monument the entire world wanted to tick-off their list on their visit to India. Earlier in 2015, I also visited Aurangabad to see the Taj Mahal replica but I had still not seen the original. So when I finally landed in Agra, the excitement was palpable. I woke up at 5.30am the next day and rushed to the site to book my ticket and avoid long queues. I then walked towards the entrance. 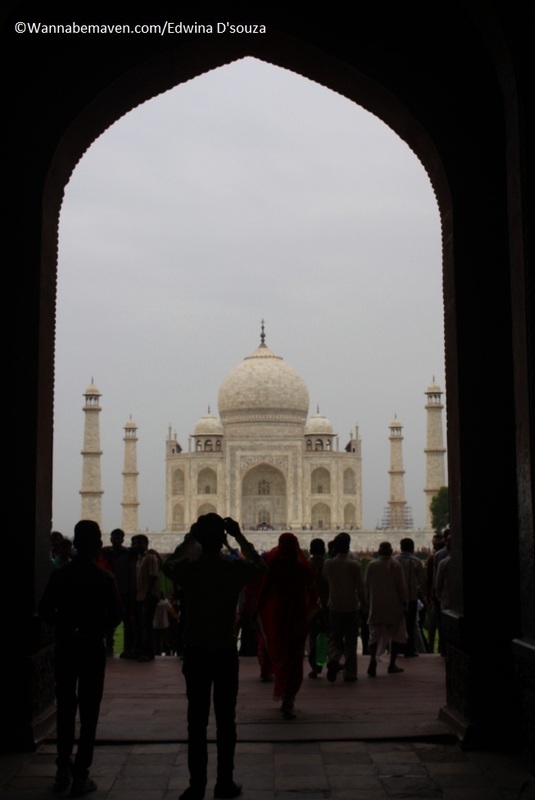 Standing in the archway, I got my first full glimpse of the Taj Mahal. It was a moment I can barely put into words…truly magical and every bit worth the hype. The sun was yet to rise, and the pale white marble monument revealed itself from behind the clouds. I stood there still for a couple of minutes, gazing dreamily. It was a surreal experience. My driver took a detour and drove off to Fatehpur Sikri, 55kms from Agra. The city, which once flourished, is now a ghost town. Akbar, one of the greatest rulers of the Mughal dynasty, had moved his capital here because of a saint whom he thought brought good omen. 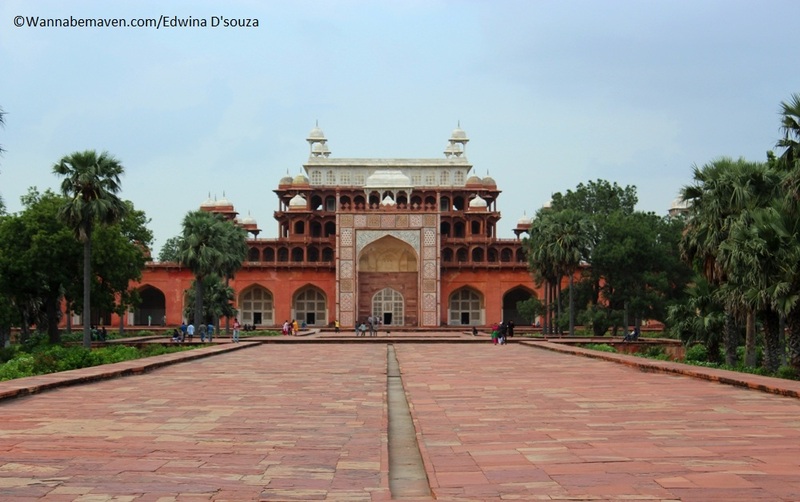 However, Fatehpur Sikri was plagued by water crisis and Akbar had to abandon this city and return to Agra. My car stopped a few meters away from the monument and from there I had to make my way up on foot. As I reached the entrance, I was greeted by a huge gateway. The Buland Darwaza, also known as the Gate of Magnificence, is one of the highest gateways in the world. A towering red sandstone structure alleviated by additional 42 steps, it felt like a scene straight out of a period film…except that it wasn’t. This was real. Breathtakingly beautiful and unbelievably huge. 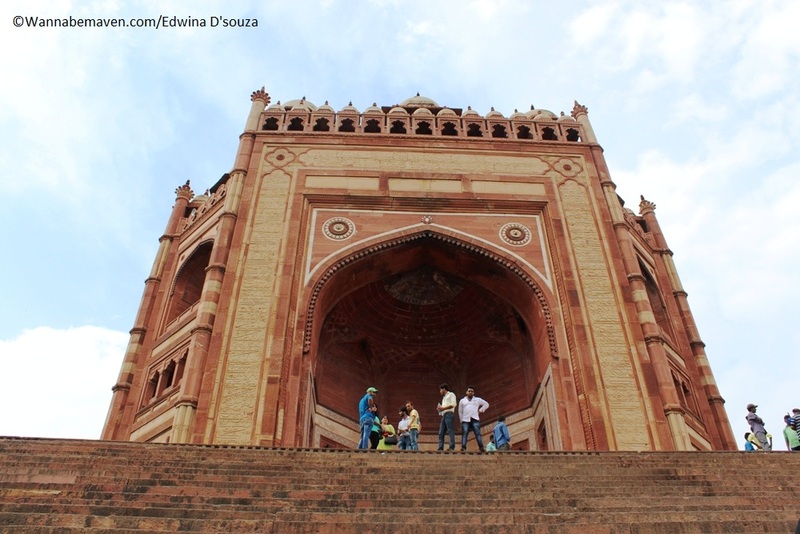 Interestingly, the Buland Darwaza was not part of the original architectural plan of Fatehpur Sikri. Akbar built this structure 5 years later to commemorate his victory over Gujarat in 1576. 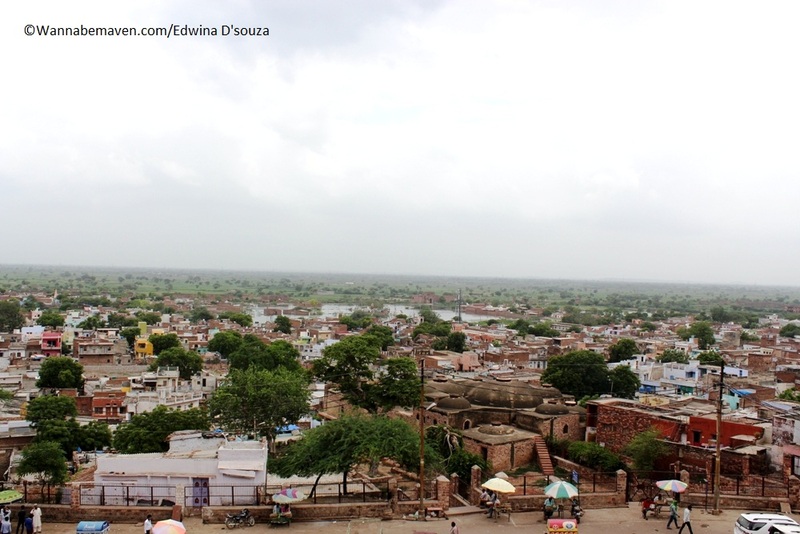 I enjoyed sitting on the stairway of the Buland Darwaza and having a panoramic view of the arid city more than touring the complex. Behind the darwaza lies the Jama Masjid, the tomb of Saint Salim Chishti who Akbar devoutly followed and several other tombs, chhatris and palaces. Travel tip for you: Tourism is an important means of making money in Fatehpur Sikri. There’s very little to this deserted city otherwise. Beware of touts. During my visit, I was surrounded by pushy guides and I even gave in to one of them. But the guide I hired didn’t seem well versed with the history of this place and beat around the bush whenever I asked for information that wasn’t part of his script. He also ended up asking for my number to Whatsapp the images he clicked…an offer I was assertive enough to decline. My last stop on this trip was Sikandra, a suburb of Agra that houses the tomb of Akbar the Great. His tenure as an emperor was a golden period for the Mughal dynasty. Did you know, Agra was called Akbarabad. This was until the Marathas captured the city and renamed it Agra. One would expect this man’s tomb to be grand…ornate with the finest of jewels, precious stones, fresh flowers, incense sticks, and what not. But it wasn’t! Sure, the complex is royal including the main entrance with four minarets. The rich inlay work on the walls and ceilings are aesthetically designed and look extremely beautiful. But then I walked through a dark passageway that leads to a basement where rests Akbar’s tomb. The room was cool with little natural light. A brass lamp that hung right above the tomb was the only decorative element in the room. The walls were bare and pale. Plentiful pigeons perched on the ceiling made up for crowd. There was a caretaker who stood near the tomb and occasionally chanted a loud prayer that echoed in the room for a couple of seconds. That’s it! That’s all there is to the tomb of one of the most powerful rulers in Mughal history. 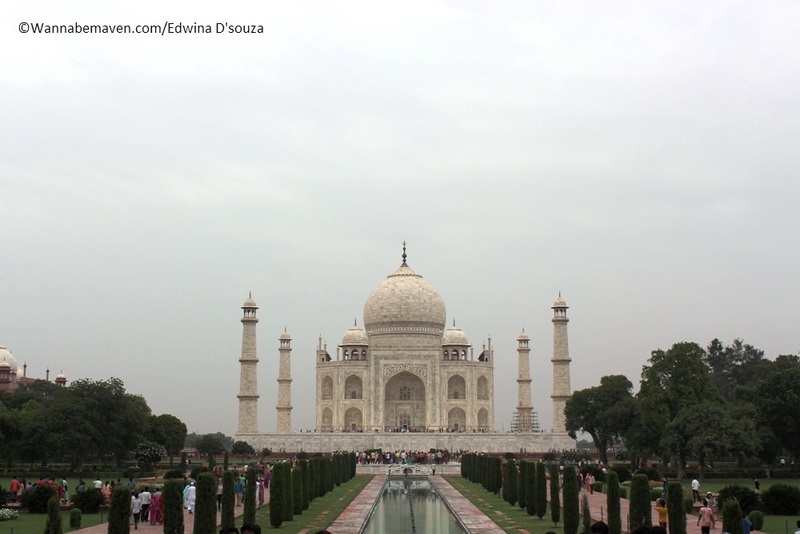 These were my favourite travel moments in Agra. What were your favourite travel moments? Agra, Akbar's tomb, Architecture, Fatehpur Sikri, History, Mughal Architecture, Mughal rulers, North India, places to see in Agra, Sikandra, Taj Mahal, UNESCO World Heritage, unique experiences in Agra. Bookmark.